Choosing the right hair brush is the trick is to getting the look you desire - learn how. There are YS Park Brushes used to create curls and there are hair brushes that flatten and smooth. The trick is to use the correct hair brush to get the look you desire. 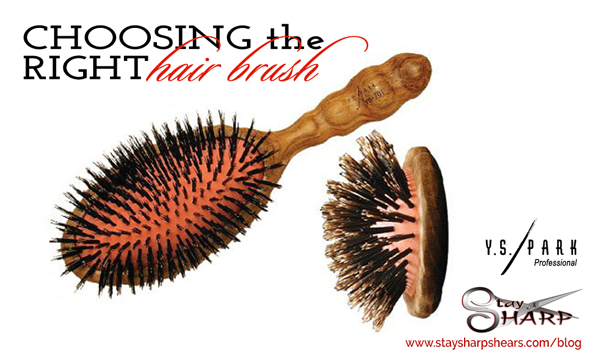 When choosing a hair brush, select one made from natural animal hairs instead of synthetic materials. The bristles on natural YS Park hair brushes are more soft and flexible, and less likely to cause any damage to your hair with regular use. We recommend YS Park Brushes because they are engineered to be heat and moisture resistant. The pins are either natural boar bristles, nylon, or polyamide pins and all YS Park Brushes have an excellent grip. Round hair brushes add volume to both short and long hair. Select a medium size barrel for short hair and bangs. To create a long sleek style with curves, a large barrel work's perfectly. The size of the YS Park hair brush you need depends on the length of your hair and the effect you want. 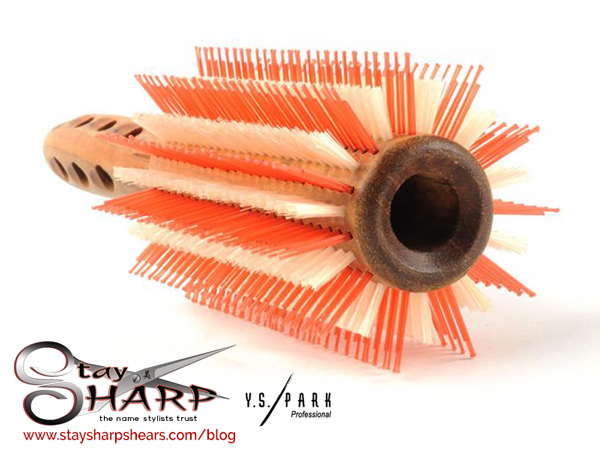 For short hair (up to 15 cm or 6") the center barrel of the brush should be approximately 3cm or 1" diameter or less. For mid length hair (15 to 20 cm or 6 to 8") the center barrel of the brush should be approx. 3 to 4 cm or 1" to 1 1/2" diameter. For long hair (20cm or 8" plus) the center barrel of the brush should be approx. 4cm or 1 1/2" diameter plus. For a strikingly powerful round hair brush we like the YS Park Brush 60G1 – Curl Shine Styler Brush made with natural boar bristles and heat resistant polyamide pins. It’s a hair brush specially sized to suit all blow drying needs and faster drying always means less heat damage. The long heat resistant polyamide pins (orange) smoothly grab and lustrously straighten the hair while the short boar bristles (white) create gleaming curls resulting in a finish incomparable to any other. Soft cushion base with bristles on one side, often slightly curved and are used to smooth, without lift or volume, short to medium hair lengths that aren't too thick or dense. They are very simple to use and are popular with men to create neat smooth shapes without creating lift. They are great hair brushes to smooth naturally straight hair or to finish off after using a round brush to straighten frizzy, wavy or curly hair. To create glistening straight hair, we recommend the dynamically smooth YS Park Luster Wood Styler Brush 701. This hair brush is made with nylon pins and all natural boar bristles and has superb resistance against heat and moisture. The rubber portion of the hair brush, where the bristles are implanted, has the resistance needed for creating the best straight hair looks. Not a hair brush type but a version really. If time is your concern then a thermal YS Park hair brush could be what you need. They work by using a metal or heat conductive material as the center of the brush, this gets hot using the heat from your hair dryer. Therefore as you increase the heat that is drying your hair it will be working not only on the surface of the hair but internally as well. A great thermal hair brush to choose is the YS Park Nylon Bristle Crazy Hot Iron Ion Brush. The H-series YS Park brushes have aluminum thermal storage barrels which heat quickly to straighten or curl hair, eliminate static and prevent heat damage. It is an ideal hair brush for mid length bobs and short hair and creates gleaming curls resulting in a finish incomparable to any other. Now that you have the right YS Park Brush, make sure to clean out your hair brushes and wash them periodically. A good rule of thumb is to clean them with soap and water around once a week. This will minimize the amount of buildup that you will incur on your hair follicles and you will have healthier hair. Etaro Scissors - Hikari Crafted Performance, Amazing Price Hikari Continues to Dominate the Stage at the 2015 NAHA Awards!